MONSEY, New York (WABC) -- A man is under arrest Monday for alleging assaulting two women in separate incidents last week in Rockland County. 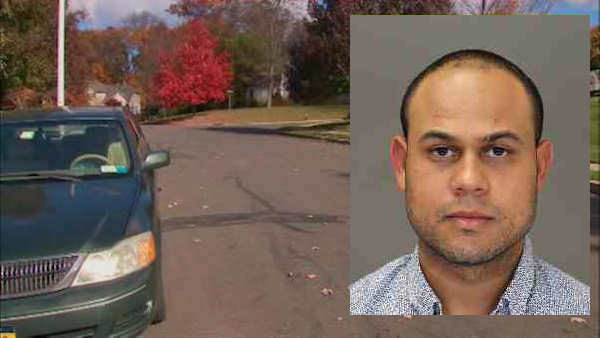 Adrian Valentin-Polanco, 28, was charged with assault and unlawful imprisonment. The first incident happened Tuesday on Carmen Court in Chestnut Ridge, while the second happened Thursday on Olympia Lane in Monsey. Both incidents occurred in the driveways of the victims' homes after they exited their vehicles, and both took place between 8:30 p.m and 10 p.m. The victim in the most recent incident said she isn't sure whether she was followed by a suspect in a car or whether he was lurking in a neighborhood. "Someone came from behind and attacked me," Chanie Lipschutz said. "He didn't say anything, he just attacked me. And thank God he just let go, because he really could've done anything." Authorities say he attempted to incapacitate her with ammonia in a surprise assault that took place just steps from her side door. "She couldn't scream, because he had her mouth covered," husband Pinny Lipschutz said. "He had some type of ammonia or something on his hands. Her eyes were burning, and she said she knew she should fight back, but she couldn't. He had her in such a grip that she couldn't move."